Rubicon Ridge Tract 1 is brand new!!! Located just outside the small town of Clayton, Oklahoma you will find our Rubicon Ridge recreational tracts. 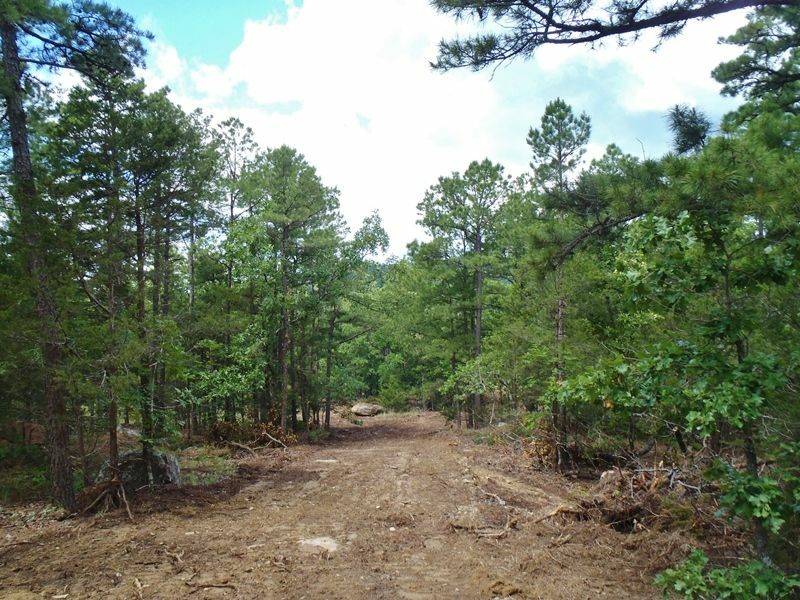 Tract 1 consists of 11.62 acres and offers a great mountain retreat. The sloping terrain provides for great camping locations with beautiful views and ATV excursions. If you are in to rock crawling in your jeep or SUV you will quickly be able to access the well-known “Green Acres” area just a mile away. The property provides a mixture of hardwood and pine timber surrounded by mossy boulders. You will have access from both county and private roads. Although there is no electricity this property is perfect for off-grid camping or cabin construction with easy access.